Posted on July 13, 2013	by Judy at My Well Seasoned Life. Blueberries are my absolutely, very best, favorite fruit in the world: Alone, with cantaloupe, in morning yogurt, in a muffin, and in this case, in PIE. 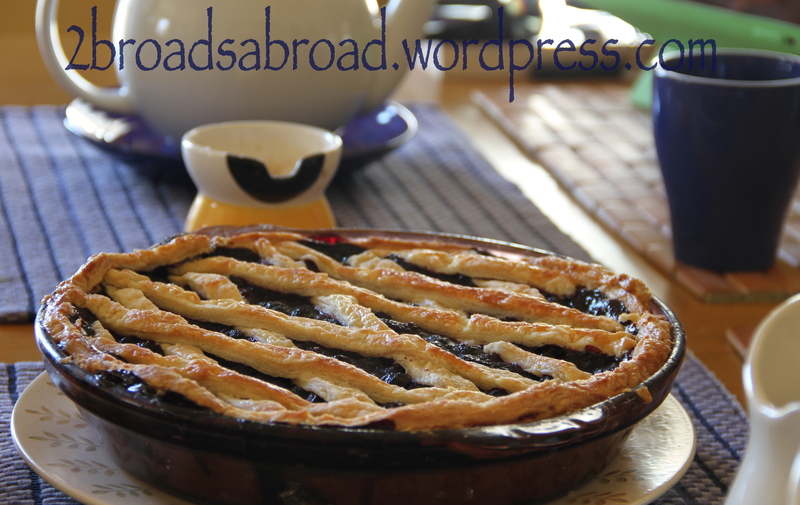 And what makes blueberry pie better? Ricotta cream of course. This pie has two baking steps. The first quick bake in to set the ricotta cheese cream. Then you pour the blueberries on top then bake until bubbly and golden brown. I used only butter in this crust and as you can see on the lattice crust you can see the flakiness. Add chilled cubes butter. Pulse until it looks like corn meal. Combine water and vinegar. Add liquid as you pulse the mixture. Do not over mix. 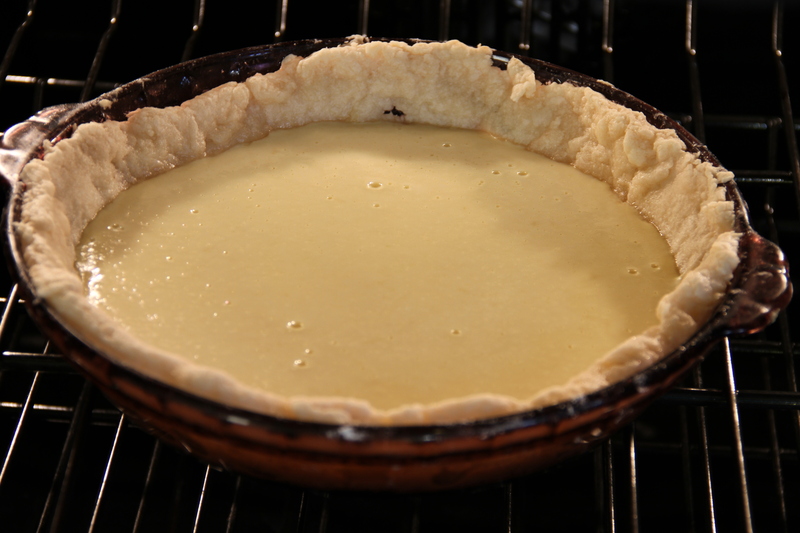 The dough will start to come together but will not resemble tart dough. Place dough on table surface and knead until it just holds together. Refrigerate for 15 minutes or the time it takes you to make the ricotta filling. Take half the dough and roll out in order to cover the bottom of a 9 inch pie dish. Pour into pie dish that is lined with pie dough. Place all ingredients in sauce pan. Chill a bit. Shouldn’t be piping hot you don’t want to melt your beautiful pie dough. Roll out the other half of the pie dough. Cut 1/2 strips. Pour blueberry filling over ricotta. Place dough strips over the filling to make a lattice pattern. Use leftover dough to make a nice outer rim on the pie. Bake for 40-50 minutes until bubbly and golden brown.